What is a Temporary Lay Off? A temporary layoff is a suspension of employment for a certain period of time given by anemployer to an employee. Having been issued a temporary layoff, an employee continues to be entitled to certain benefits such as substantial payments from the employer, employee benefits and other supplementary unemployment benefits. Constructive dismissal is a type of dismissal provided for by common law when there is no direct dismissal of an employee. For a constructive dismissal to occur, the employer must make significant changes to the employment arrangement, without consideration or reasonable notice, resulting in a breakdown of the employment relationship. When an employee has been constructively dismissed, that employee becomes entitled to notice of their termination. 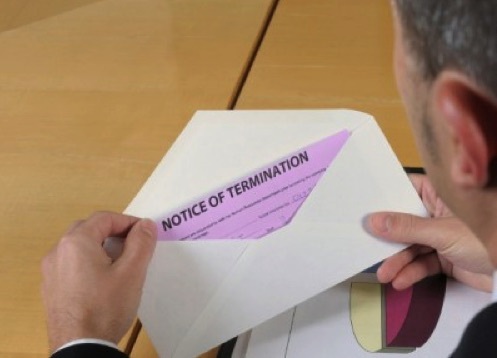 How Do Temporary Layoffs Result in Constructive Dismissal? The recent case of Michalski v Cima Canada Inc., 2016 ONSC 1925, dealt with the issue. The Plaintiff who had been temporarily laid off, sought damages for constructive dismissal as the contract did not have express terms indicating that temporary layoffs might occur during the course of his employment. Alternatively, the Defendant maintained that the Plaintiff was aware of the possibility of temporary layoffs though the terms were not expressly stated in the contract. The Defendant’s position is that there were implied terms, where the Plaintiff knew or ought to have known that temporary layoffs were a possibility due to the industry he worked in. The Court found that if there is no term, either expressly or implied, that temporary layoffs are permitted then the fundamental terms of the contract have been altered, resulting in constructive dismissal. Express Terms are terms what have been directly mentioned and agreed to and are often in writing. In Michalski the Court found that there had been no mention of temporary layoffs in the employment contract. Implied Terms are those that are not directly mentioned, but a reasonable person would assume they are part of the written contract. In Michalski, the Court found that in the case of implied terms the implied term must be “notorious, even obvious, from the facts of the particular situation”. The Judge rejected the notion that the Plaintiff should have known that layoffs could occur based on the layoff of another co-worker by stating “it is difficult to see how the layoff of one worker can result in a unilateral amendment of the employment contract for other workers”. As there was no express or implied terms within the employment agreement, the Court awarded the Plaintiff 12 months notice of his termination. If you have been temporarily laid off, contact Monkhouse Law today for a free consultation concerning your entitlements at law in your situation.